​We use the world's leading posture analysis protocols to detect, analyze and correct postural distortion patterns interfering with the body's ability to live at optimal human function. Our 12 week program integrates very specific re-alignment techniques through Posturology, and important exercises to improve the movement of your joints and the balance of your body against gravity, while re-educating your daily habits for proper postural hygiene. Proper posture is a key component to optimal health and wellness. 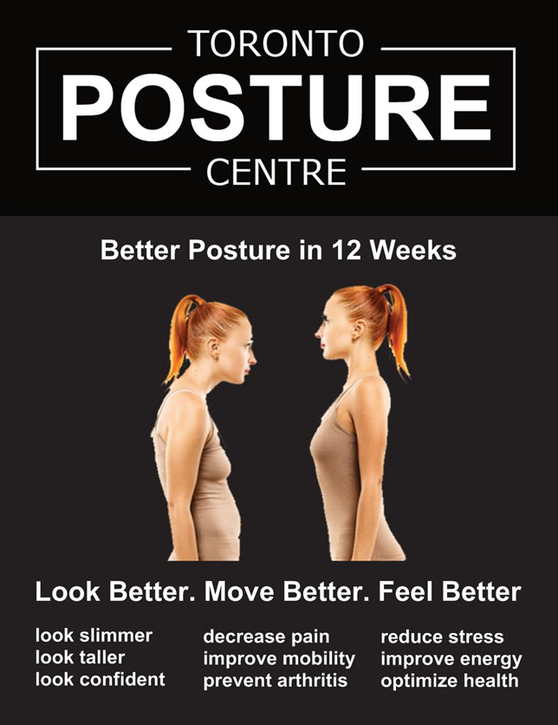 Good posture demonstrates confidence, balance, pain-free movement and enhanced physiologic function of your body. Whereas poor posture causes additional stress to the body, spinal degeneration, and diffuse pain. Simply correcting your posture can enhance the quality of your life and overall health. Good posture promotes movement efficiency and endurance and contributes to an overall feeling of well-being. contributes to confidence and a good appearance. The return on investment for better posture will be astounding in later years. Dr. Eve is a certified posture expert and highly trained in the detection and correction of postural distortions of the spinal column. inability to stand without pain or discomfort. Chiropractors are the only health professional trained at the specialized level to detect spinal dysfunction and correct it safely.